A child’s dream is to travel utopic galaxies, but as they grow old, they realize how the selected ones are able to visit the moon. 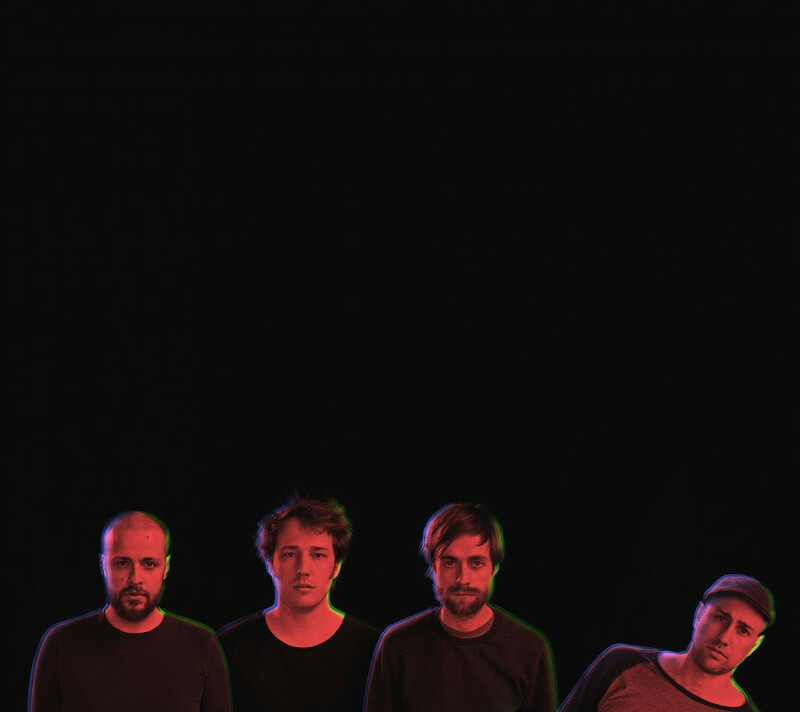 Luckily, indie-folk band Frànçois & The Atlas Mountains were able to achieve that goal through their music. 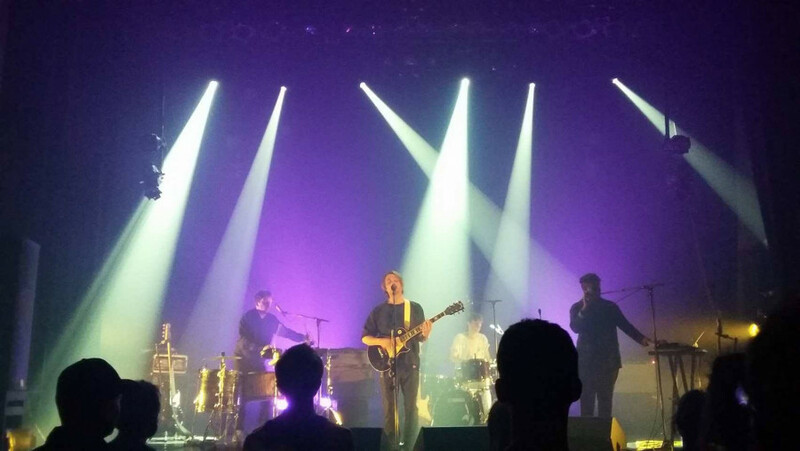 The first indoor show at Les FrancoFolies de Montréal began with Frànçois & The Atlas Mountains this past Wednesday at the Club Soda concert hall. The five young musicians invited the audience to climb aboard their shuttle and travel through the mysterious sounds of space rock. Opening for the band was a group named Barbagallo. Discovered by Les FrancoFolies de Montréal, the band fed the audience a combination of different sounds that created a spatial effect using two mixing boards attached to a synthesizer. Each note that was held down created a different sound that teleported the melody into a different world; they used sounds such as lasers and an abduction sound that you’d imagine hearing from a flying saucer. They began with a song called “Nouveau Sidobre” that began with the sound of an acoustic guitar being strummed, followed by a progressively accelerating paced drum beat and the synthesizer keys held down from one musical note to the other. The slow paced pattern transformed into a funky beat, until eventually the song winded down to slow melody. Barbagallo ended their set list with their song “La Vérité.” The song began with the synthesizer’s looping effect which created a rhythmical pattern that slowly faded away. The drummer of the band Julien Barbagallo—whom the band is named after—began singing alongside a slightly shuffled drum beat. The part that I loved was the lightly tapped bass drum. As the song progressed, the drum kept getting louder, until the sound exploded into a huge jam. The drum was the song’s heart since each beat created a rhythmic pattern that allowed other instruments to engage in the melody. After Barbagallo’s performance ended, Frànçois & The Atlas Mountains emerged onto the stage. The group began their set with a song called “Grand Dérèglement” which started off with several random radio voices. The beat began with a rough drum beat quickly followed by the sound of a distortion effect coming from an electric guitar, adding an electric feeling to the piece. The backup guitarist switched over to the synthesizers, creating different echoing and looping sounds until the electric guitar took over with an energetic solo until the end of the song. The song “Be Water (Je Suis de L’Eau),” captured the band’s essence, fusing different sounds and rhythmical patterns. The echoing sound gave the audience an all-access pass to travel into a different dimension dedicated to music. The piece began with an echoing electric guitar chord, while the unknown sounds were interpreted on the electric drum pad. The snare and cymbals were lightly introduced, accompanied by the electric guitar’s clean tone. The song ended with a huge jam, where every instrument was heard without overlapping each other. After several cheers and whistles, the band came back for an encore. The improvisational piece began with the synthesizers looping with an echoing effect. The song’s rhythmical pattern changed to an electronic and funky beat, which explodes to a loose jam session, applying their effects to each instrument they played that created a different world of music. The song quietly winds down until no instrument can be heard. Overall, the Frànçois & The Atlas Mountains performance was quite enjoyable. The sounds and noise level that the band created amazed the audience into wanting more. Imagine six different worlds dedicated to their own genre of music. 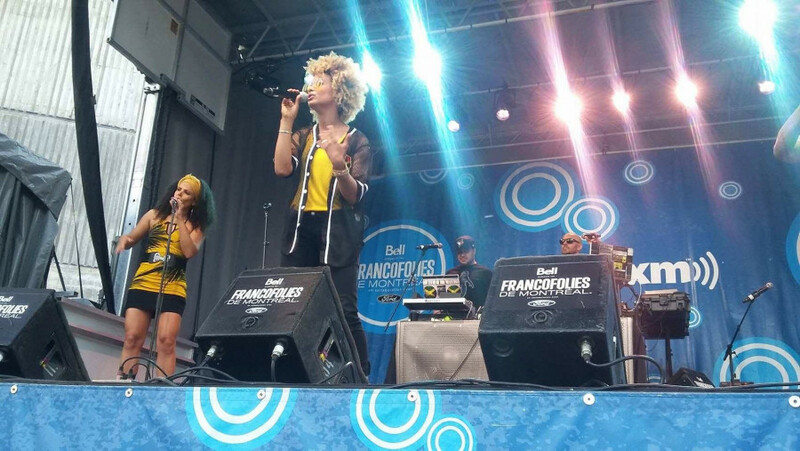 Les FrancoFolies de Montréal were able to make that imagination a reality. Les FrancoFolies de Montréal mounted six free outdoor stages, each one boasting their own respective artists who performed their own unique sounds. Lasting for 12 days and held inside the heart of the Quartier des Spectacles, this festival gathers an audience and allows them to expand their musical horizons by letting the music take them to a different world. 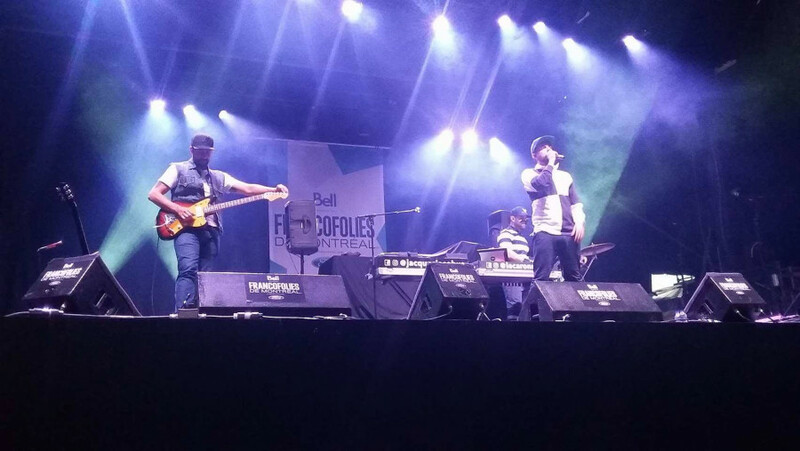 This past Friday, Les Louanges at the Coors Light Zone kicked off the festival. It would have been good if Les Louanges had revealed the titles for their tracks instead of referring to them as “unreleased pieces.” Regardless, each of the tracks surprised the audience with their combined sounds. The piece that I enjoyed the most was an improvisational one, wherein the band fused electro music with a hint of funk. The song began with a distorted guitar solo, followed by a funky bass beat being thumped away. The synthesizers made an appearance at the end of the set, offering a whammy distortion solo that paired along with a telecaster being played. Both solos used the same effects, but from two different instruments. I enjoyed this piece not because of how band decided to use effect pedals and sound mixers, but because it gave an example of how musical boundaries should be broken. The guitar solo, which was played on a classic Fender Telecaster, had a clean sound with a touch of distortion that gave a lighter touch to accompany the heaviness of the muted bass along with the drum’s bass pedal. Le Bal Pop Loto-Québec site re-created the parisian ambience, with cafe chairs and tables scattered across the Place des Arts Esplanade. The Petit Orchestre Parisien performed some classic French covers by artists such as Les Rita Mitsouko, Julien Clerc and Edith Piaf. Even though their set was over, a guitarist and an accordion player roamed around the Esplanade to continuously offer the classic French ambience. 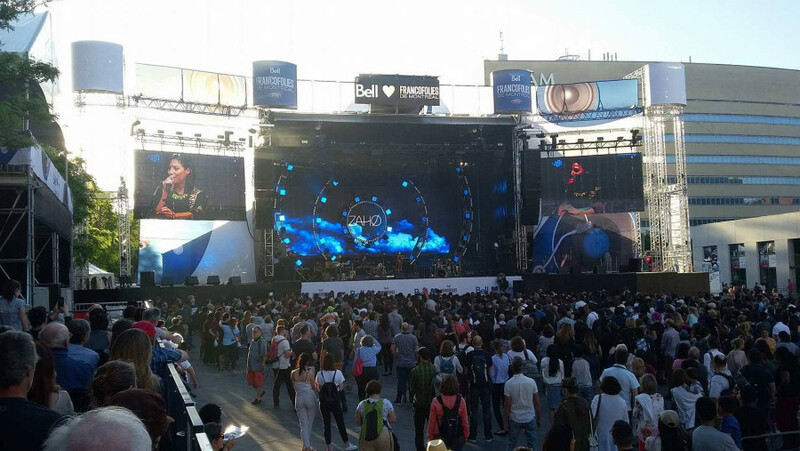 Quebec and Algerian artist Zaho offered a great electronic presentation to her fans at the Bell Stage. I would have loved if the drum set’s bass pedal hadn’t been overused since it tends to become overpowered if it gets combined with the bass effect on the synthesizers. This makes it difficult to follow the melody of a song. Regardless, Zaho blends different musical rhythms into her repertoire, offering her fans a taste for musical beats. The combination of the bass drum, the thumping noise of a muted bass guitar, the constant strumming of an acoustic guitar and Zaho’s loud vocals created a powerful sound that filled up the space. Meanwhile, The Sirius XM stage showcased the fine music of rhythm and blues with a little hint of rap by artists DI Astronauts. Two DJs stood behind their laptops, creating different rhythmical patterns using their attachments to amplify the music with mixers and sound boards. At the same time, three singers sang their hearts out, leaving the audience wanting a taste for more. Singer and musician Valérie Carpentier fused two different genres of soft rock and pop, creating some easy to follow melodies on the Ford Stage. The piece I enjoyed most was “Young and Lonely.” It began with a slight shuffling drum pattern and a repetitive guitar chord progression which paved the way for Carpentier’s soft voice. The sound of the violin as part of the background music made a surprising appearance and perfectly blended with the sound of the instruments, including the delicate touch of a piano melody. The piece ended with all the instruments incorporated, allowing the audience to follow the mellow ballad without being interrupted by any instruments overlapping one another. I will remember this slow ballad simply for Carpentier’s vocals. Her mellow voice shone above the instruments with clear articulation. Her voice allowed the audience to understand her message, about how one is never lonely, but is in the company of others without realizing it. The night ended with singer Jacques Jacobus who rapped his heart out to the city of Montreal on the Urban Stage. His vocals were backed by a DJ who added the sound of a drum snare and two small cymbals as part of the musical attachments to his mixing boards. At the same time, the guitarist looped and echoed repetitive chord progressions that blended perfectly with the funky beat. What a great way to explore different harmonies, while continuously following the melody of each song. Letting a musician’s emotions paint the path for the rhythm of the track, or combining several genres of music into each—these are fundamental ways of exploring beyond musical boundaries. On their latest album, this is just what indie band ArelKing does. 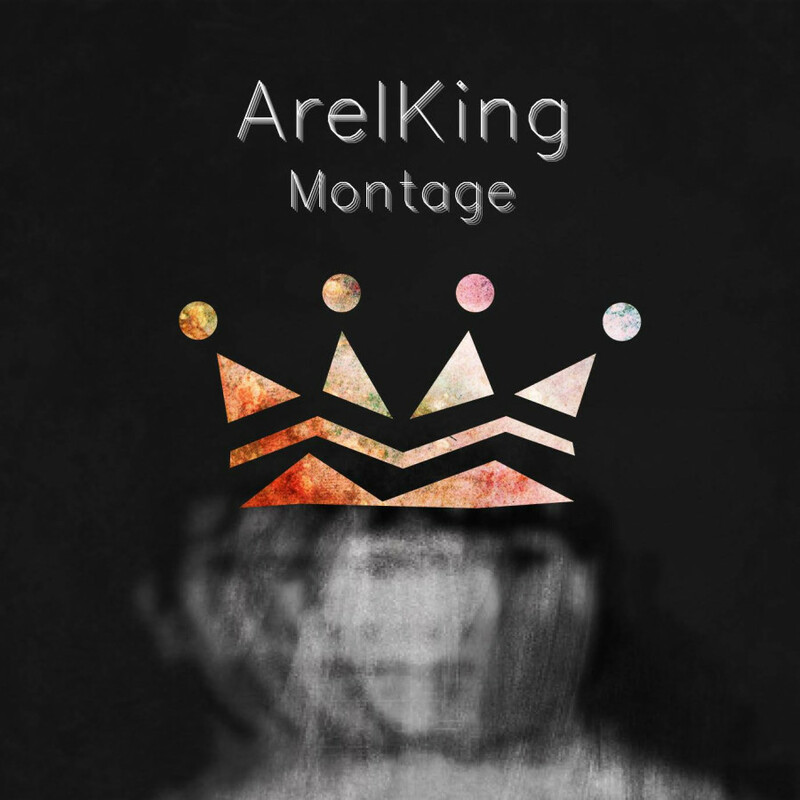 ArelKing’s new album, Montage, provides rhythmic tones that stand out from other musicians. This album features the band’s technique of combining different harmonies to go along with the electrifying chord changes and progressions, including vibrant drum patterns. Each of these techniques used allows the listeners to absorb each note of the melody as if they were present in the recording studio. “Radiohead was a big influence, including Beck where he mixes every musical genre, which is what we want to do.” said Francis Duruisseau, singer, keyboardist and guitarist for ArelKing. Other band members include Raphaël Thibodeau on guitar, keyboards and bass, Mathieu Beaudet on bass, synthesizers and guitars and Sophane Beaudin-Quintin playing drums and percussions. One of the band’s main goals is to fuse different musical genres such as progressive/alternative rock with a hint of jazz fusion to create a different world of music altogether. Mixing genres of music leaves listeners and future musicians thinking of the possibility of combining any beat, sound and melody. Each sound created allows the group to explore their interest in every type of music. The band doesn’t seek interest in how the song should end, but instead focus on the type of melody used throughout each individual track. “When we play, we have no idea how the song will end, but all we know is that we follow our emotions for creating our melodies.” explained Duruisseau. Giving a first listen to Montage, it was impressive how the distortion effect didn’t overpower the other instruments being used throughout the album. The track “Wait, Now” is an impeccable example of this technique, wherein the sound of a repetitive chord progression contains a hint of distortion. At the same time, the melody of the song stays integrated with the synthesizers mimicking the chord progression. The harmony of the background vocals are used to resemble the song “Because” by The Beatles and a slow shuffling drum beat that guides the melody in the right direction. Before officially joining ArelKing, Beaudet was at Duruisseau’s house where he was idly picking away at his guitar with the same repetitive chord pattern. As he was picking, Duruisseau had the idea to play along the melody by using the rhodes effect on his keyboard. Five minutes later, the sixth track of Montage “Somebody in the Attic” was created. “The song talks about having a mythical figure inside your head who is controlling and telling you what to do,” said Duruisseau. The track begins as a muted clean repetitive electric guitar chord progression with a hint of distortion, accompanied by a funky bass chord, an easy-to follow shuffling drum beat and the soft sound of synthesizers that have a quiet yet impactful presence. Once the beat settles in, the vocals make a normal appearance, providing a standard tone of voice. In the middle of the track, the voice gets rougher from the rhythmic pattern change, providing a faster, but still shuffling, funky beat. At the end of the piece, the beat goes back to the beginning of the track, but the repetitive chord progression is replaced by an energized guitar solo, perfectly adjusted with the tempo of the track, ending the song on several good notes. After listening to the album in its entirety, the only criticism that comes to mind is the low presence of warmer guitar tones into some songs. The clean tones that are used are great for adding a brighter sound to the guitar, but if the band chose instead to integrate more warmer tones, then the sound of the bass would have elevated, adding more depth in each track. The beginning of the track “Palisade” could have used this, which would have added more warmth to the song as a whole. Overall, Montage is a good choice if you’re sitting back with a good pair of headphones, reading a great book and in the mood to relax to various sounds of music. Musicians who tend to explore changes in tone rather than restrict themselves to a particular sound are the ones who usually have compositions that stand out. 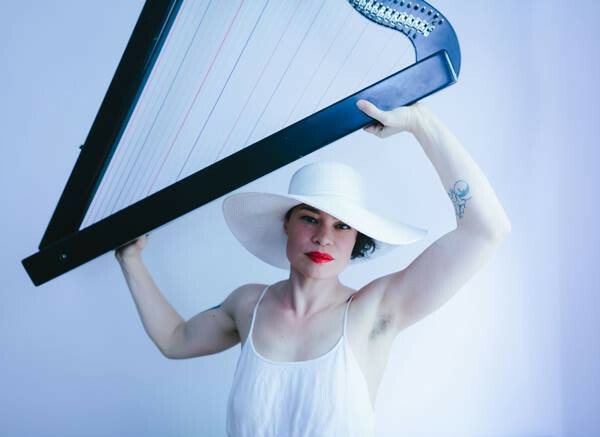 Among these musicians is Larkin Grimm is one who directs her attention towards her own sound, preventing herself from looking back at her previous work. Using a vintage mixing board once used by David Bowie for his album Young Americans, Grimm’s upcoming album Chasing An Illusion provides direct lyrics that dig deep by exploring raw, vulnerable and ferocious emotions. Recorded inside a cave in Gowanus, New York, this will be the seventh album of Grimm’s musical career, set to be released June 16. Chasing an Illusion digs deep into the genre of jazz music, but with a lighter touch. Each of the instruments used, including her vocals, deliver the same tone of jazz music, but without adding any distortion and reverb effect. “It’s a healing album, like every single song is addressing some sort of pain,” said Grimm. Whether it’s mental or physical pain, each track provides ways of helping people to love themselves as well as others. Before becoming the musician that she is today, Grimm studied sculpture at Yale University in 2004; she was in the process of working on a term project that involved several rules and restrictions, one of them being that she had to sing while constructing her project. Her tone of voice attracted the attention of several musicians who wanting to know about her musical inspirations. They began inviting her to jam sessions around clubs and bars in the area. After a few of these jam sessions, music label Providence Records took notice of Grimm’s compositions and wanted them recorded into an album and released out into the public. Despite being invited to jam and being taken on by a record label, Grimm still had trouble gaining respect from other musicians in the industry. She didn’t have any prior experience in music since her education was mostly comprised of visual arts. “People assume that I don’t like any sort of music. They are always shocked to hear that I don’t know a specific artist or [even] know what ‘Free Jazz’ is,” Grimm explained. As Grimm composes different musical pieces, her intentions are to never sound like another artist, but rather to create a unique sound of her own. If someone tells her that she has a similar sound of another artist, then she considers this a failure. “Maybe I am being hard on myself, but my number one [goal] is originality,” she added. Techniques that Grimm gained from painting and sculpting, such as patience and determination, are applied to her musical work. She doesn’t restrict herself playing a specific musical genre, key or beat, but thinks forward towards developing new rhythmic patterns and melodies. Yoko Ono and Ornette Coleman are two of her main musical inspirations. Both musicians explore beyond the musical boundaries, making room for discovering different musical keys. “They didn’t make their music for people to love them,” said Grimm. She describes how there are musicians who constantly want their audience to project love and affection towards them, instead of opening their musical horizons and discovering different styles of sound and interpreting their music. Listening to Chasing An Illusion, the track “I Don’t Believe” immediately stood out. This song describes an individual experiencing intense psychological pain through having all of their horrific memories come flooding back, until someone understands the individual and reaches out to help them. The track begins with the sound of a flute holding a high pitched note. Eventually, the harp slowly introduces itself into the melody, sounding as if the strings of a twelve-string electric guitar is lightly being picked without the use of a distortion effect. The rhythmic pattern of the track changes once the drums kick in, providing a slow progressive beat, lightly using the snare, bass drum and cymbal. Once the beat settles in, the main vocals make a sudden appearance while the background vocals make a slower quieter appearance by repeating the words “I don’t believe” over and over. After having listened to the album in its entirety, the only criticism that comes to mind is that Grimm could have used more transitions and tone changes in her tracks, which would have provided a different resonance and melodic patterns and maintained her listeners attention better. On an overall note, though, Chasing An Illusion provides a combination of different instruments and interesting sounds from beginning to end. Reaching into a grab bag where anything can come out can be risky business. Fortunately, when it comes to singer-songwriter Kiera Dall’Osto’s self-titled debut album, you’ll get nothing but good things from it. Upon listening through it for the first time, it was difficult to peg what kind of genre Dall’Osto’s album fell into. There were strong folk sounds in there, yes, but underneath were layers of country, americana and some honky tonk with inklings of psychedelic. 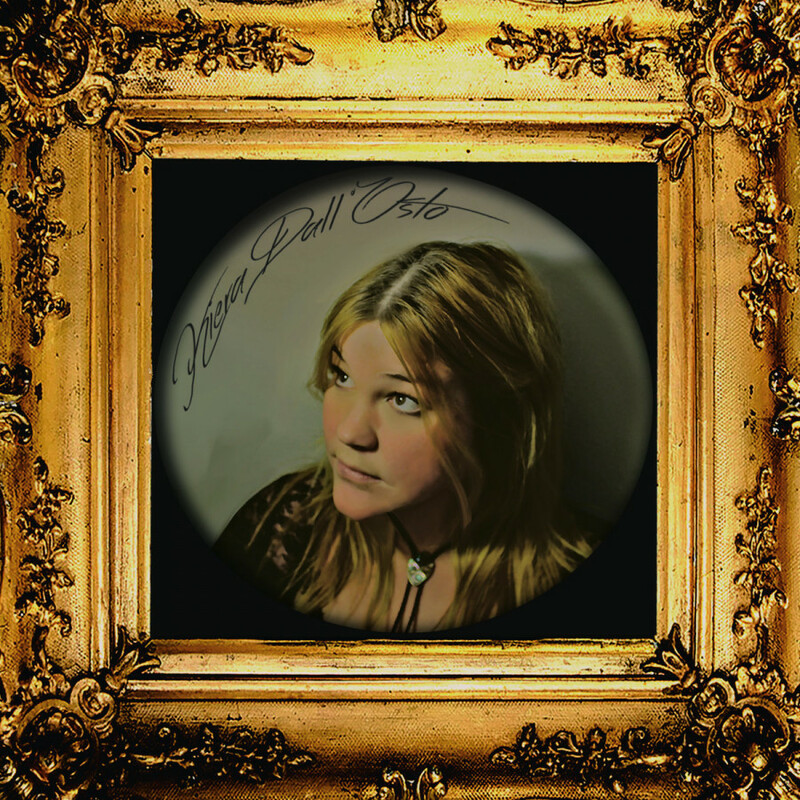 No matter the style of music that presented itself in a track, Dall’Osto’s singing voice seamlessly fit into each one; her mellow yet striking vocals were the final puzzle piece to go along with the instrumentals. For the making of this album, Dall’Osto put together a group of strong musicians, including herself on vocals. The band consisted of Lucas Goetz from the Canadian alt-country band Deep Dark Woods as drummer, with folk musicians Clayton Linthicum and Kacy Anderson—both of whom double as close loved ones of Dall’Osto’s. Indeed, the recording for this album only began in January 2016. Dall’Osto explained that Anderson and Linthicum had just finished the recording of their own album and had jumped on the opportunity to convince her to record a proper album with them. Ever since its official release as of May 1, 2017, Dall’Osto still finds it surreal that her work is actually out there for the world to hear. Every track on this album was written by Dall’Osto save for the first on the list, “Graveyard Shift,” which was written by Anderson. Dall’Osto stated that Anderson had approached her with this song, insisting that she sing it for the album. The track begins by fading in with a prominent bassline to accompany a casual guitar strum and slow, steady drum beat. The beat picks up as Dall’Osto’s voice comes into the mix, breathing life into the song. Soon after, the keyboard is implemented to add a haunting, warm sound, a necessary touch to the track that ultimately makes everything come together smoothly. Easily the most psychedelic of the tracks on the album and a great introduction, letting listeners know what they’re in for. Another good track was “In A Moment,” a song that begins with a lot of silent breaks that create a sense of anticipation for what sound will come next. Only then does the beat pick up, all the instruments coming in at once. The light hitting of cymbals accompanied by the use of a tremolo effect on the guitar made for an interesting sound that was reminiscent of a few older classics like Nancy Sinatra’s “Bang Bang” and “Nights in White Satin” by The Moody Blues. The album comes to a close with “Nothing,” a song with a melancholic sound that begins with the steady picking of guitar strings and a gentle flute, almost like a farewell song. Overall, this album was an interesting experience from start to finish. A good choice if you’re driving along a quiet road at night and you feel like popping in a CD for some tunes. Although, I feel as if this album would be a good listen no matter what time of day. Even if country might not be a genre that you prefer, you’ll most likely find a song on this album that you’ll like. Now that her album is out, Dall’Osto has stated that she will be performing in the Regina Folk Festival in August along with a few other music festivals throughout the summer. Beyond that, Dall’Osto has a few other ideas, although she isn’t looking to publish anything else anytime soon.